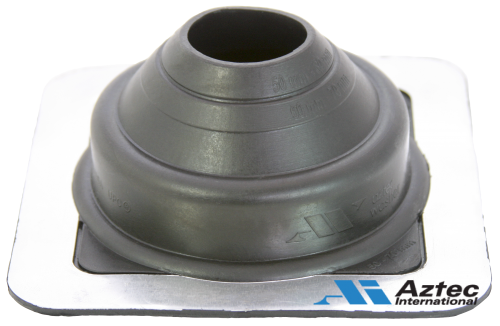 Accommodates 2” - 2-3/4” (50 - 70 mm) pipes. weathering due to ozone and ultraviolet light. pitches regardless of pipe location. Easy on-site customization accommodates all normal installations.